and easiest greatshield to handle. Can be found on a horizontal stone pillar high up in the large rickety structure above the poisonous swamp in Blighttown. A fully upgraded Eagle Shield boasts 84 stability. It is also substantially lighter than other Greatshields, offering attack deflection at less than half the weight of other shields in its class. 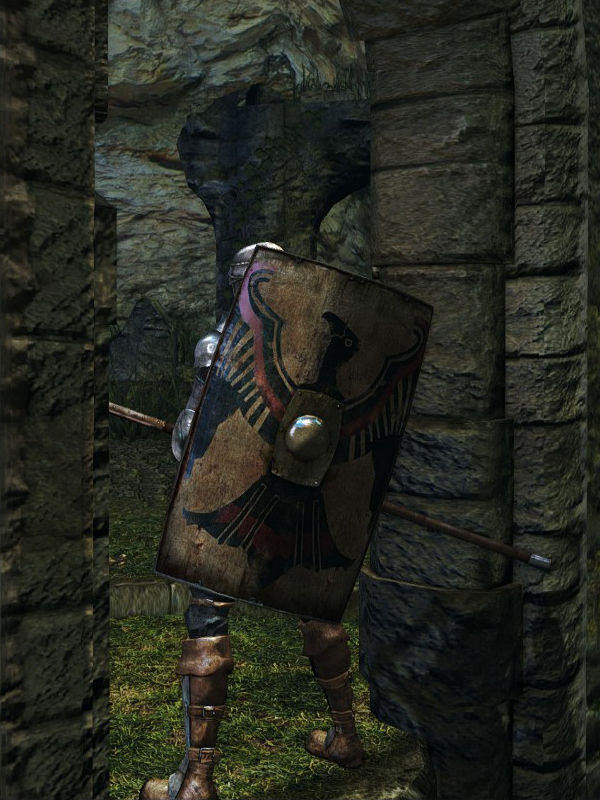 This shield is probably the best choice for all classes in combat where physical damage is the primary attack to defend against - unless you want to parry. Eagle Shield durability reduced to 30. Base damage increased. Cannot repair weapon (except through reinforcement). Adds magic damage. Moderate damage bonus from int.